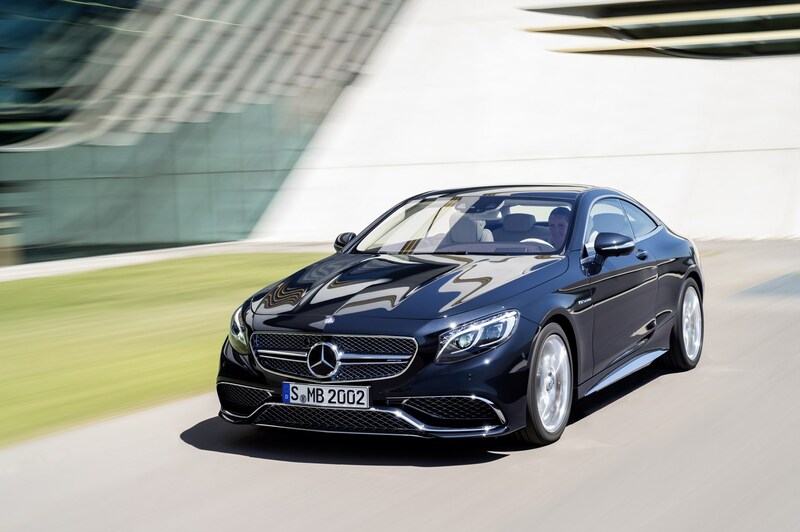 The S 65 AMG Coupé is the new twelve-cylinder top-of-the-range model in the S-Class Coupé series. Unique drive comfort, benchmark performance and exquisite appointments are all hallmarks of this two-door vehicle. The irresistible contours of the V12 Coupé are accentuated by a host of expressive design elements in high-sheen chrome. The AMG 6.0-litre V12 biturbo engine, with an output of 463 kW and 1000 newton metres of torque, is unique in its segment, as is the AMG sports suspension, based on MAGIC BODY CONTROL with curve tilting function and ROAD SURFACE SCAN. “There are AMG fans for whom our V12 biturbo engine is the measure of all things. For this clientele we have developed a unique car in the form of the new S 65 AMG Coupé. From driving dynamics to comfort and equipment – our new twelve-cylinder coupé surpasses even the highest of expectations,” says Florian Seidler Executive Director, Mercedes-Benz Cars South Africa. Coupé, Sedan, Roadster and Off-roader: following the S 65 AMG, the SL 65 AMG and the G 65 AMG, the new S 65 AMG Coupé is the fourth AMG high-performance car with a V12 engine. No other car manufacturer in the world offers such a wide portfolio of twelve-cylinder vehicles as Mercedes-AMG. Back in 2003 the performance brand of Mercedes-Benz presented a coupé with a powerful V12 biturbo engine in the form of the CL 65 AMG (C215 model series). Its successor, the CL 65 AMG (C216 model series) was available between 2007 and 2014 and was the direct predecessor to the new S 65 AMG Coupé. Twelve-cylinder engines are still considered the pinnacle of engine design. Among connoisseurs the AMG 6.0-litre V12 biturbo engine in particular is seen as an outstanding example of its type. Open the bonnet of the S 65 AMG Coupé, and it is immediately obvious why: the exclusive carbon fibre/aluminium engine cover is synonymous with the exceptional strengths of the V12 engine, built in Affalterbach according to the “one man, one engine” principle. Apart from serving as an AMG hallmark confirming superlative precision and production quality, the AMG engine plate bearing the engine technician’s signature is also a clear testament to the peerless DNA of Mercedes-Benz’s high-performance brand. The AMG V12 delivers a peak output of 463 kW and a maximum torque of 1000 newton metres – resulting in effortlessly superior performance: the S 65 AMG Coupé accelerates from 0 to 100 km/h in 4.1 seconds and has a top speed of 250 km/h (electronically limited). In other respects, the AMG 6.0-litre V12 biturbo engine assures a sensational drive: stylish drive comfort, tremendous pulling power and effortless power delivery in all speed ranges are coupled with refined engine running characteristics and the distinctive typical sound of the AMG V12. A glance at the consumption and emissions figures shows that the AMG V12 is fit for the future: with fuel consumption of 11.9 litres per 100 kilometres as per NEDC combined (equivalent to 279 g/km CO2), the S 65 AMG Coupé is significantly more economical than all of its rivals. Compared with the previous CL 65 AMG model, consumption has been reduced by 2.4 litres per 100 kilometres (NEDC combined). The AMG SPEEDSHIFT PLUS 7G-TRONIC is responsible for transmitting power to the rear axle. The transmission offers three individual modes: the driver can choose between Controlled Efficiency (C), Sport (S) and Manual (M) by pushing a button on the centre console. Sport and Manual emphasise the vehicle’s dynamism: the ultimate emotional appeal and tangible sportiness are ensured by the brief, precisely defined cutback of ignition and injection when shifting up a gear under full load. This shortens shift times and lends an audibly more emotive tone to gearshifts. The ECO start/stop function is activated in transmission mode “C”. The AMG sports suspension based on MAGIC BODY CONTROL delivers an incomparable driving sensation. The standard combination of Active Body Control (ABC), ROAD SURFACE SCAN and curve tilting function is unique. This function allows the S 65 AMG Coupé to lean into bends in a manner similar to a motorcyclist or skier. The lateral acceleration acting on the occupants is similar to driving in a banked curve. On country roads in particular, the curve tilting function heightens motoring enjoyment and comfort. The object is not to reach higher cornering speeds, but to produce an even more pleasant motoring experience. The curve tilting function can be selected as one of three drive modes using the ABC switch; it is active in the speed range from 15 to 180 km/h. The electromechanical speed-sensitive sports steering with variable steering ratio perfectly complements the sophisticated suspension technology: it optimises vehicle handling and agility while maintaining driving safety at high speeds. In “Comfort” suspension mode, the speed-sensitive sports steering enhances comfort by providing more steering assistance. If the “Sport” suspension setting is selected, on the other hand, the driver feels a sportily stiff level of steering assistance. The pre-programmed curves for power assistance enhance feedback from the road surface and steering precision. The S 65 AMG Coupé features forged wheels in a multi-spoke design, size 8.5 x 20 at the front and 9.5 x 20 at the rear, with 255/40 R 20 and 285/35 R 20 tyres. The exclusive forged wheels of the V12 Coupé fascinate with their exceptional design which represents a contemporary interpretation of the classic sports car rims: each of the 16 spokes twists so that the light-catching contours radiate to the centre of the wheel hub. The effect: the wheel gives the impression of being even bigger. The matchless visual superiority of the ceramic polished, high-sheen AMG forged wheels is the result of an elaborate finishing process: initial polishing is followed by manual grinding of the light-alloy wheels. Two polishing stages using different grinding pellets ensure the desired deep sheen. Having been cleaned, the wheels undergo final treatment, including sealing with clear varnish. Supreme sportiness combined with the sensual clarity typical of Mercedes-Benz – the irresistible contours of the S 65 AMG Coupé are a captivating sight. V12-specific features include the countless design elements in high-sheen chrome at the front, sides and rear which are particularly effective in conjunction with dark paintwork: the large central Mercedes star on the front apron, the “twin blade” radiator grille, all of the air intake grilles, the trim strip on the “A-wing”, the side flics (air deflector elements) and the front splitter are chromed-trimmed. The three-dimensional front splitter reduces lift at the front axle, while the gap above the front splitter ensures an effective flow of air to the separate engine oil cooler behind it. At the side, the eye is drawn to the “V12 BITURBO” lettering on the wings and the high-sheen chrome inserts in the side skirts – which harmonise perfectly with the high-sheen polished forged wheels. The rear view is also memorable: the AMG sports exhaust system’s two chromed twin tailpipes in V12 design are integrated into the rear apron. Above the distinctive diffuser insert, painted in high-gloss black, the trim element forms an effective contrast: It echoes the design of the “A-wings” on the front apron and is finished in high-sheen chrome. Another typical AMG speciality is the AMG instrument cluster: information on the engine speed, vehicle speed and much more appears on two animated round dials on the 31.2 centimetre, high-resolution colour TFT display. The typography, the needles in red/silver, the speedometer with its 360 km/h scale and the “V12 BITURBO” lettering in the rev counter all have a specifically AMG look. When the driver’s door is opened, an AMG start-up screen appears on the right-hand display, while an animated S 65 AMG Coupé appears in the instrument cluster. The extensive range of standard equipment for the S 65 AMG Coupé includes the head-up display and the touchpad. The head-up display projects key information such as the vehicle speed, speed limits, navigation directions, traffic signs and information from DISTRONIC PLUS onto the windscreen. The visualisation of the engine speed and the current gear is exclusive to AMG. In Manual transmission mode, a coloured upshift bar and the possible gears for a manual gear change are also protected onto the windscreen. The virtual colour display, measuring 21 x 7 centimetres, appears to hover above the bonnet at a distance of around two metres from the driver. The innovative Mercedes-Benz touchpad makes it significantly easier to operate the radio, telephone and navigation system. In contrast to conventional systems, the touchpad can be used to operate all of the infotainment functions. The input area is approximately 6.5 x 4.5 centimetres in size and is integrated into the handrest with a cover for the keypad.